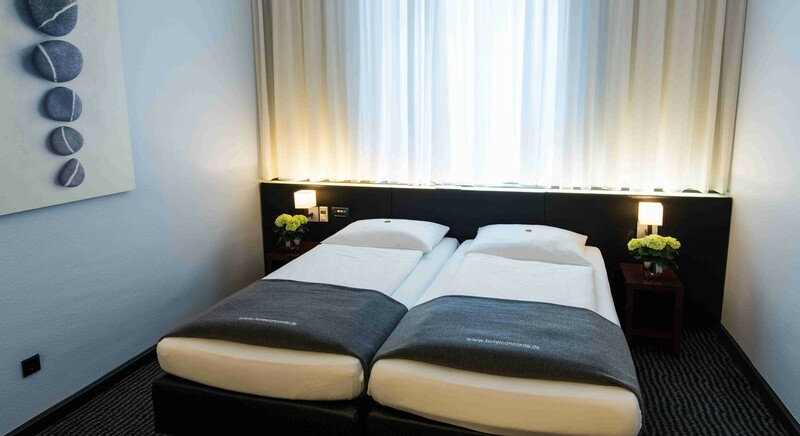 The Concorde Hotel Frankfurt is the ideal place to stay for business and leisure travellers due to its central city location just across from the main railway station. The exhibition center, the banking center, the Alte Oper concert hall, the museums along the Main River - are all within easy reach. 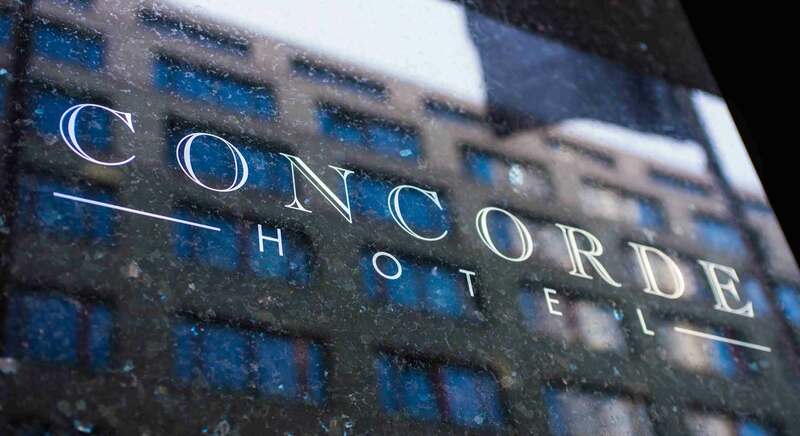 The Concorde Hotel is approx. 15 min from Frankfurt Airport by either taxi or S-Bahn train. Constructed with fond attention to every detail, the clear lines and warm colours of this Art Deco design hotel and our friendly yet discreet service create a sense of comfort and wellbeing. 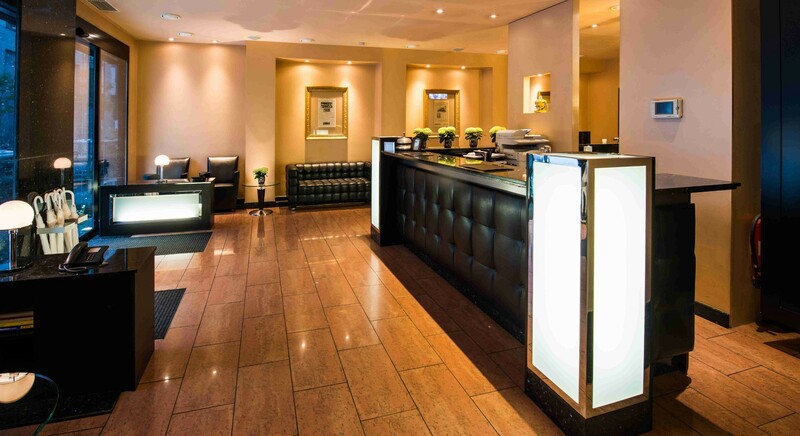 Enjoy the smell of hot coffee and fresh fruit in the morning, unwind with a drink at our hotel-bar at the end of the day: The Hotel Concorde is the place to relax and feel at home in Frankfurt am Main. 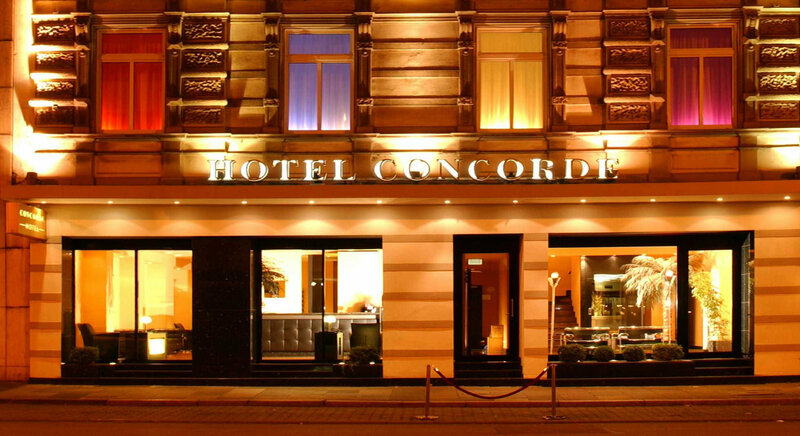 There are over 200 hotels and guesthouses in Frankfurt, but it is not without good reason that the Concorde Hotel enjoys a unique status amongst all of the hotels. The hotel is highlighted by the specially designed coloured lighting which bathes the façade in a coloured hues and it creates a fascinating interplay between the stylish Hotel Concorde and its urban setting. The lighting is a multi-functional system throughout every room of the design hotel, which is controlled by the guests according to their personal colour preferences and mood. 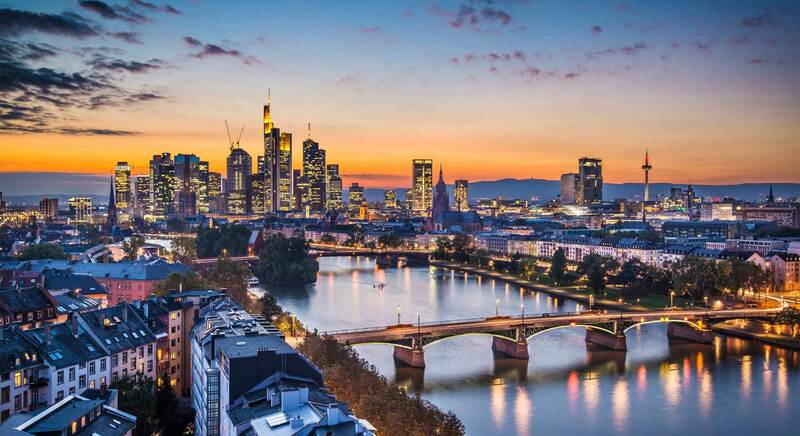 A colourful gem in the city of Frankfurt. The special lighting creates a remarkable impression set against the architectural style of the Wilhelminian Era hotel constructed in 1890. Its Art Nouveau facade that has been retained and lovingly restored. The impressive features are also carried through to the guestrooms, which, in addition to the usual hotel comforts and modern conveniences such as airconditioning, free wifi-internet connection and minibar, in our Junior Suites also include walk-in wardrobes and corner lounge suites. As part of a complete refurbishment the bath and shower areas were remodelled with a new and original design. Showers in some rooms are fully surrounded by glass with a curtain that allows the area to be screened off for privacy. An ebony wood washstand completes the elegant ambience. 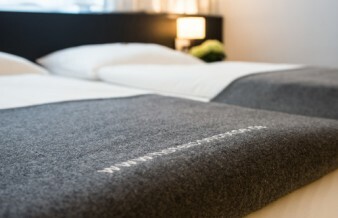 The designer’s skilled eye was also instrumental in selecting the colour scheme, with warm tones and understated shades of grey complementing each other to create harmony in form and colour and provide welcome rest for visitors to Frankfurt when they arrive at the hotel.